Atlantology, the study of Atlantis, draws evidence from innumerable and diverse scholarly fields, including: anthropology, archaeology, astronomy, biology, classical literature, Egyptology, geography, geology, history, linguistics, mathematics, metaphysics, mythology, oceanography, and religion. 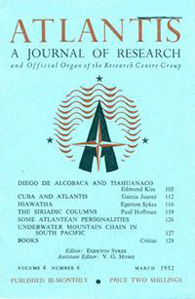 The science of Atlantology is well-described in Sykes' journals ATLANTIS (1948-1976) and NEW WORLD ANTIQUITY (1954-1979). 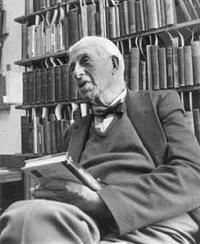 Egerton Sykes was not only the creator of the largest private collection on Atlantis in the world, he was a mythologist, amateur archaeologist, writer and editor, who prided himself on knowing every scientist around the world in the field of Atlantology from 1912 to 1950. Site design by Tracy Durnell, October 2007.